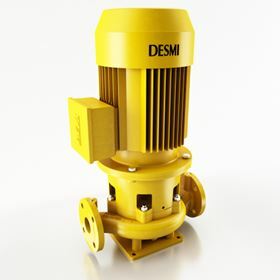 DESMI's ESL pump launched in November 2013. DESMI, the global pump specialist, has launched a vertical in-line centrifugal pump, the ESL. It can be used for a number of applications, including hot and fresh water circulation, HVAC, as a hydrophore pump, cooling water and refrigeration. Denmark-based DESMI claims a number of benefits for the pump, including low maintenance costs, high efficiency, together with high configuration flexibility and states that the ESL is installation and service friendly. The company, which celebrated its 175th anniversary in 2009, specialises in the development and manufacture of pump solutions for a variety of industries including marine, oil spill solutions and defence. In the last four years DESMI has opened offices in Dubai and China, and in 2011 established a foundry in Xuancheng, China. Grundfos’s new CR product, our Q2 2018 Pumps Mergers & Acquisitions Review and last year’s Top 10 pump business stories. Sims Pump has been awarded a multi-million dollar contract to build SIMSITE® structural composite pumps for new ferries for the Staten Island Ferry.